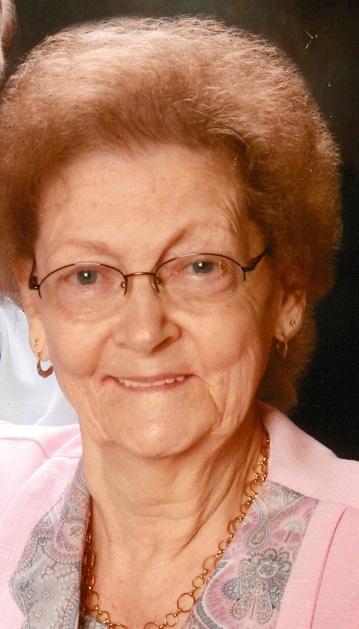 Juanita L. Knieriem, 80, passed away Saturday, February 9, 2019 in Corydon, Indiana. She was born in Oriole, Indiana on March 28, 1938 to the late Samuel and Hazel (Bullington) Sturgeon. Juanita retired from General Electric and was a member of Branchville United Methodist Church. She enjoyed camping with her husband and playing bunco. Surviving are her children, Dan Knieriem (Paula), New Salisbury, IN, Mike Knieriem (Cathy), Milltown, IN, Jeff Knieriem (Melody), Depauw, IN and Tammy (Knieriem) Hubbard, Kennesaw, Georgia; nine grandchildren, Josh Huff, Ashley Burns, Brad, Chrissy, Jeffery and Evan Knieriem, Nikki Redmon, Alex and Adam Hubbard; two step grandchildren, Matthew and Clinton Herman, ten great grandchildren and three step great grandchildren. Preceding her in death was her husband, Russell Knieriem in 2016, a daughter, Carolyn Sue Knieriem, granddaughter, Tiffany Knieriem and her brothers and sisters. Funeral services will be held at 1:00 PM CST Tuesday, February 12, 2019 at Huber Funeral Home, Tell City Chapel. Pastor Josh Harris will officiate. Burial will follow in Luxemburger Cemetery, near Oriole. Visitation will be Monday from 3:00-8:00 PM CST and Tuesday 11:00 AM-1:00 PM CST at the funeral home. Memorial contributions may be made to Branchville United Methodist Church.